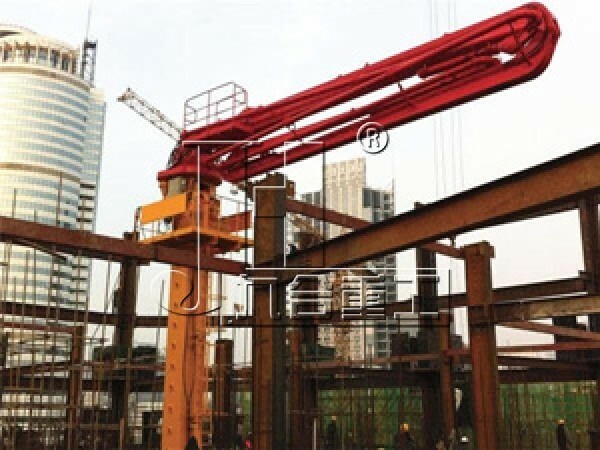 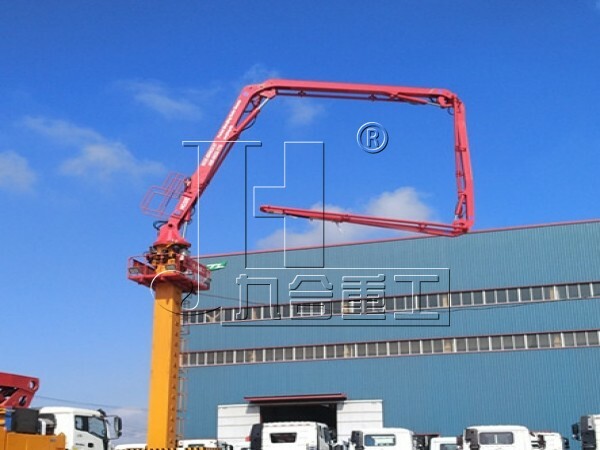 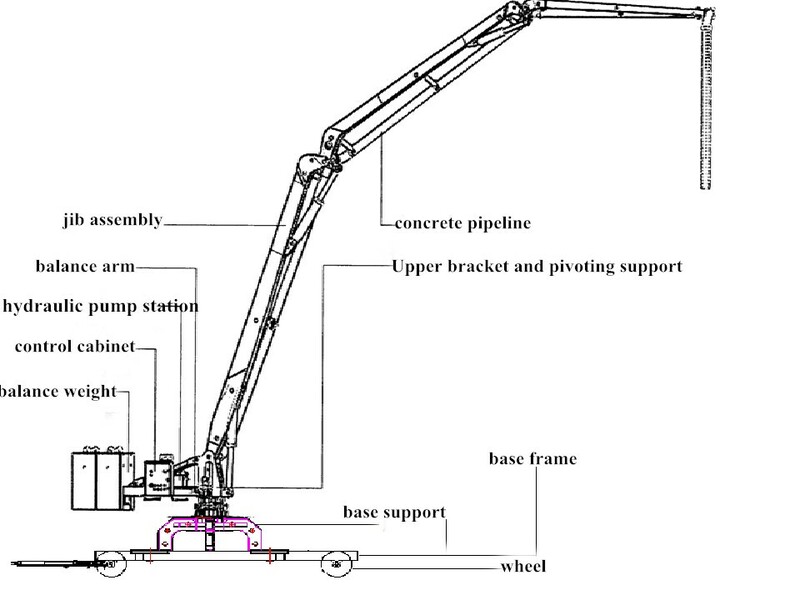 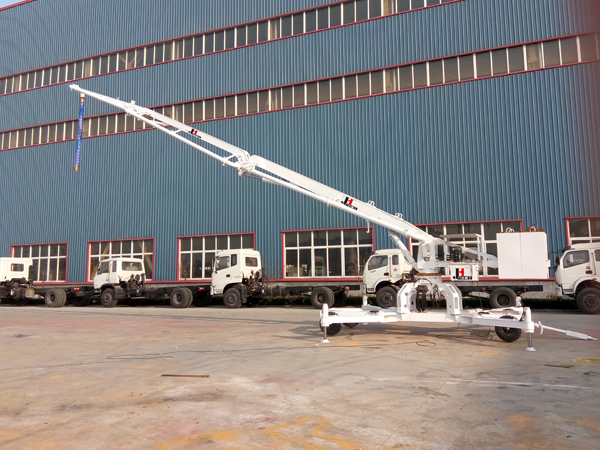 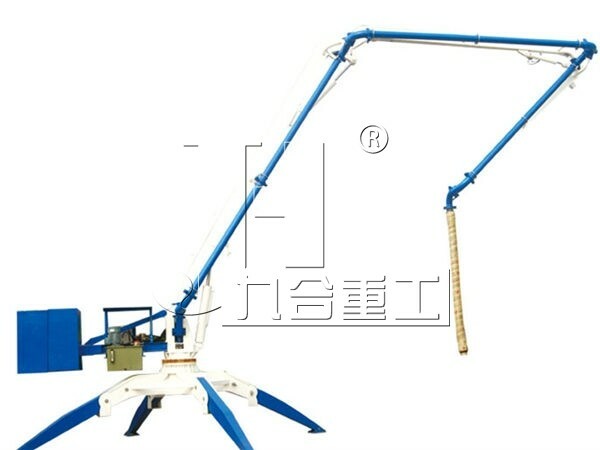 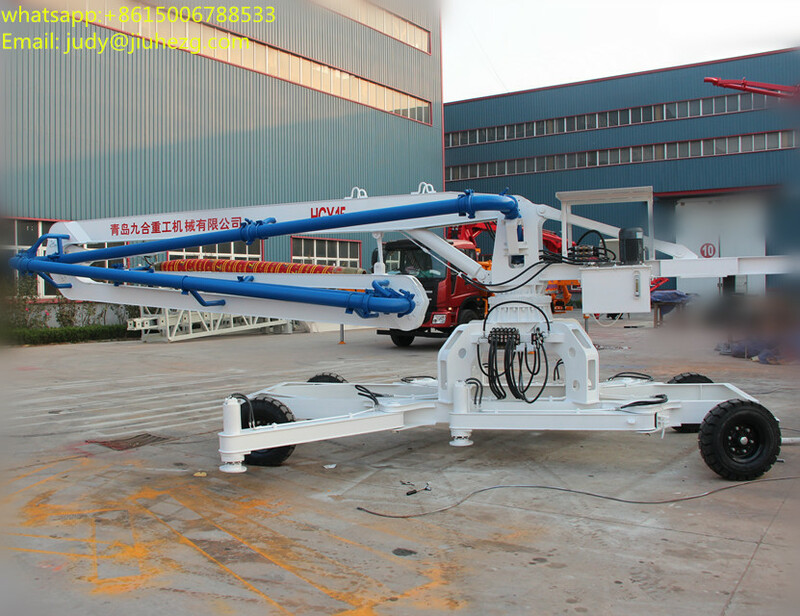 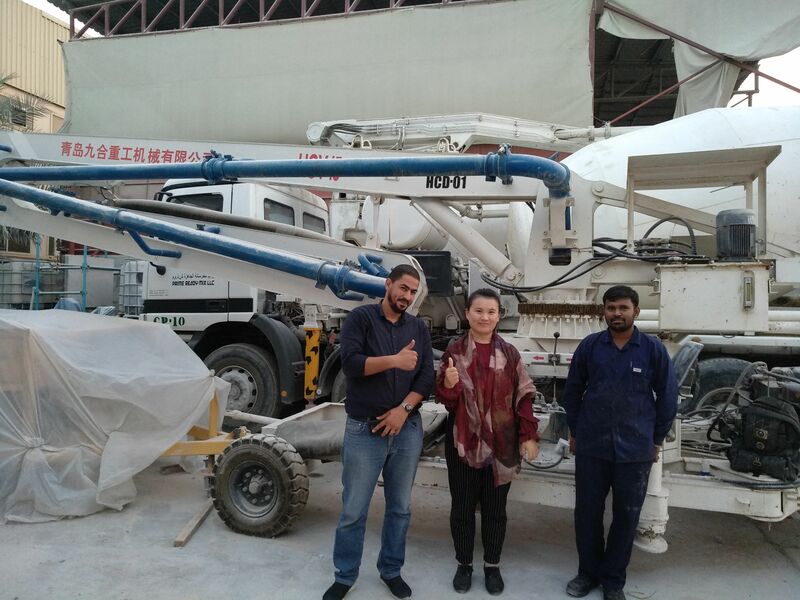 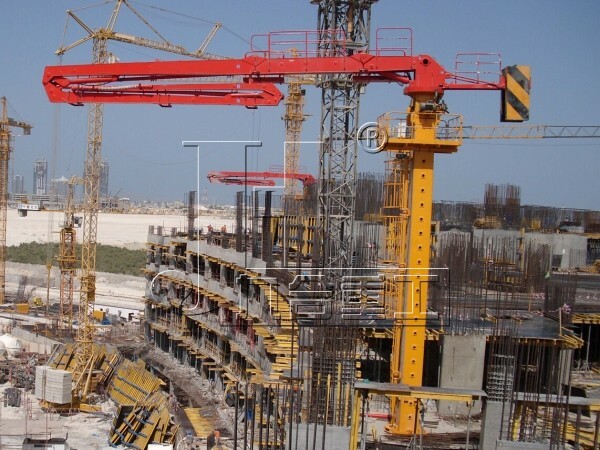 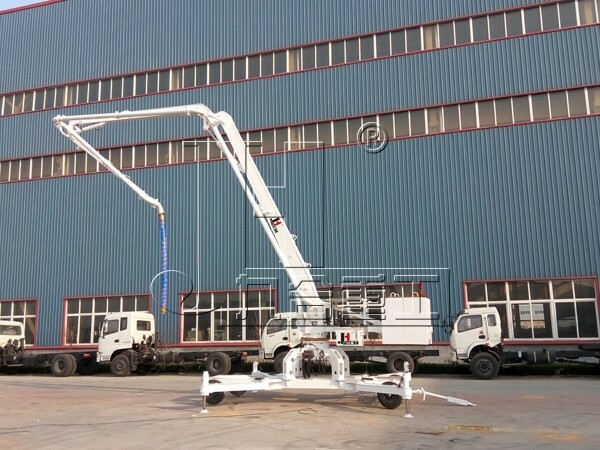 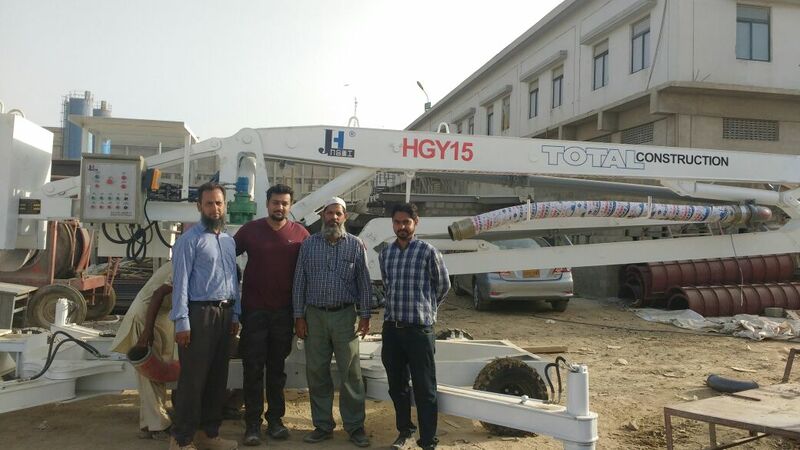 HGD15 wheel type hydraulic mobile concrete placing boom is a concrete placer for combined use with a concrete pump in concrete placement operations. It can be widely used in the construction of various types of concrete structures like industrial and civil buildings, bridges, roads, and other types of infrastructure. 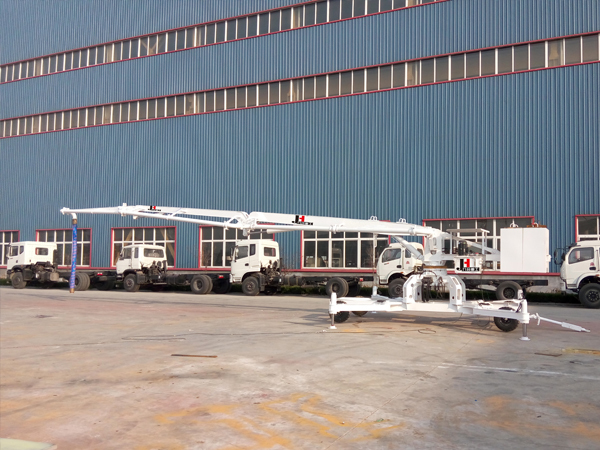 This equipment shall not be used in other operations such as hauling, moving, and hoisting heavy objects or people but in the concrete construction stated above. 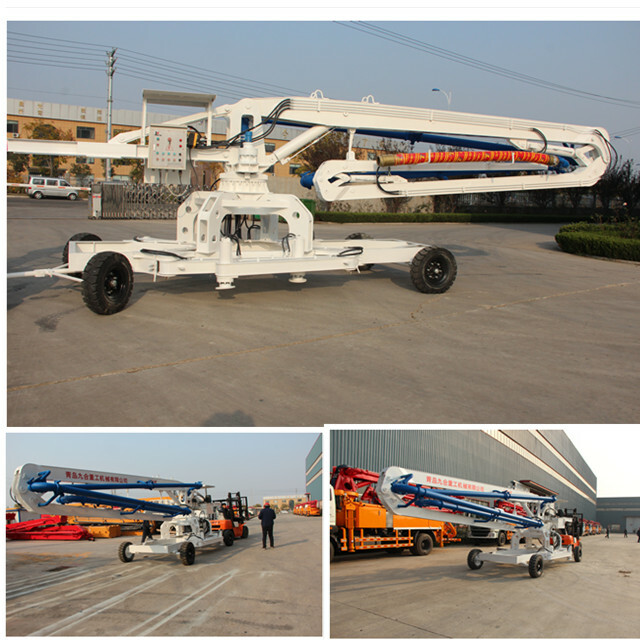 It shall not be used in places with inflammable and explosive materials and places possible to subside.